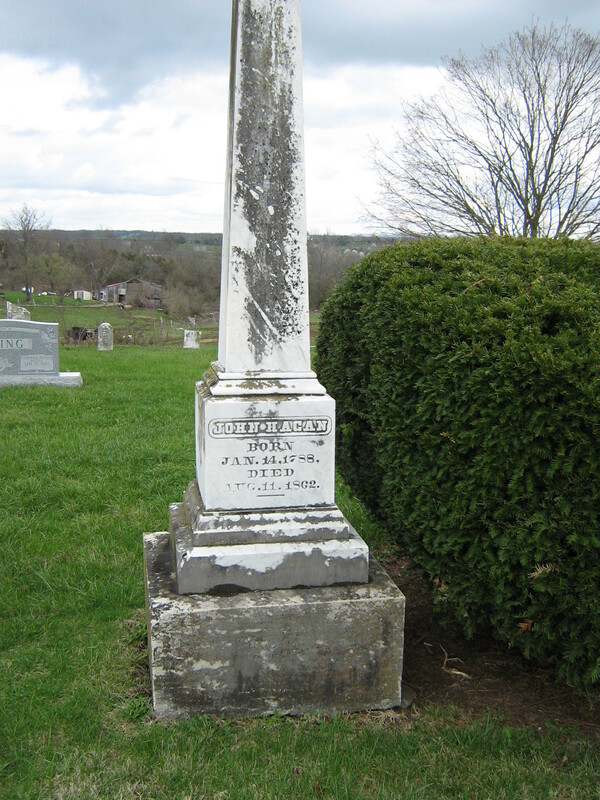 Starling Coulter died 110 years ago – June 8, 1903 – in Washington County, Kentucky. 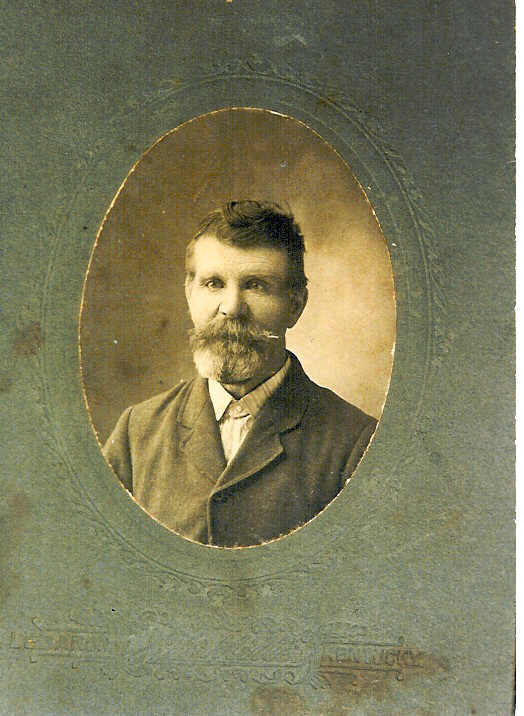 Starling was the son of Mark Coulter and Nancy Taylor, born July 18, 1825. 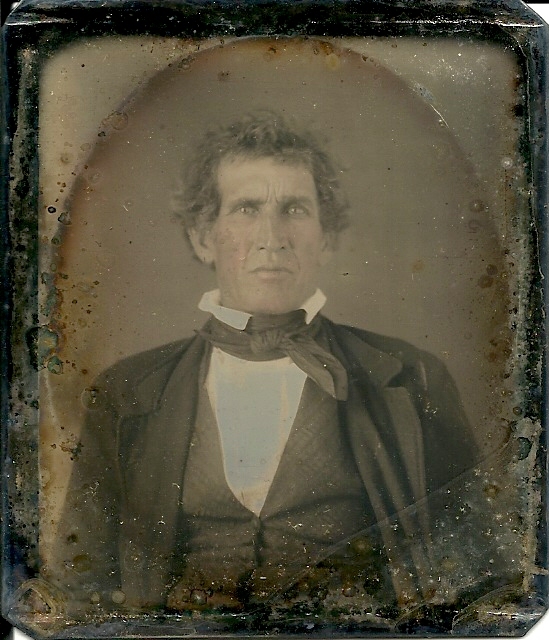 He married Sarah Rigdon in 1854. 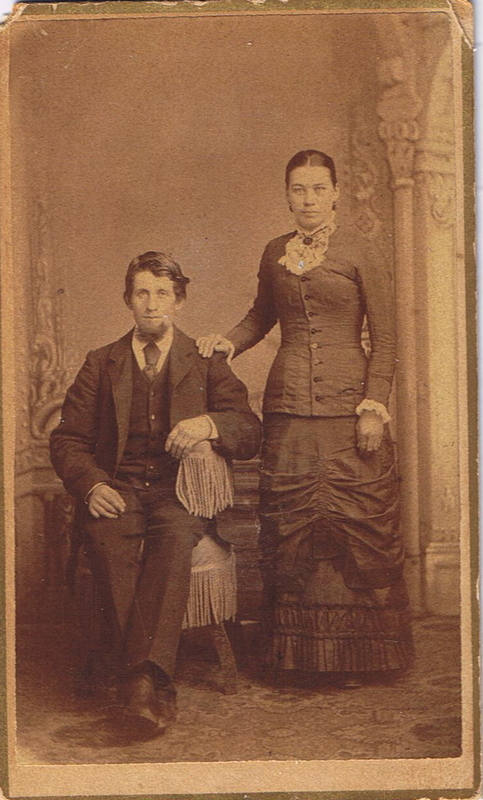 Starling and Sarah had 4 children: Isaiah Thomas, Emily Elizabeth, John and William D. Coulter. 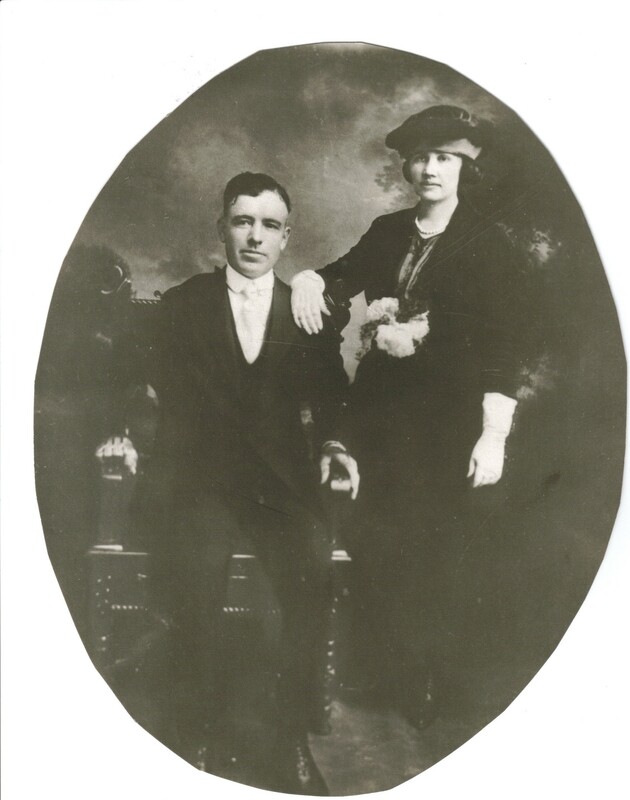 I am a family historian, a genealogist, one who puts families together, who finds those who have been lost for many years and acquaints modern day generations with their ancestors. There's nothing like having a full family tree! A Kentucky Feud That Doesn’t Involve The Hatfields and The McCoys! Revolutionary War heroes and families. Shop Amazon for genealogy research! How I love to cook for my family and friends. Not a professional by any means, many of my recipes have been handed down from my mother, my grandmothers, and my aunt. I love to make these dishes since it brings back wonderful memories of those days in the kitchen with those who are now gone. In that way I suppose it is partially a genealogy cookbook! And speaking of genealogists we not only look backward, but forward. So, too, with cooking. And so there are many recipes made for and with my children. As adults we love to cook together, the kitchen crowded, foods made for each and every time we are together. Making memories with each mouthful! 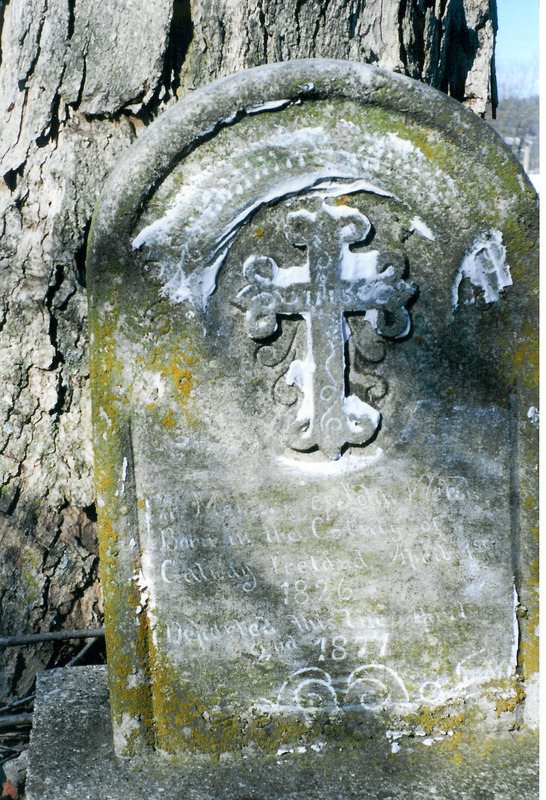 CD – Pleasant Grove Presbyterian Cemetery Photos – $21.95 – Click to puchase through Paypal. Included on this CD are 856 names, 740 photos. This has been a five year project, taking photos beginning in the fall of 2008 and through 2012. I’ve just recently put the list together. This project is dear to me because my fifth great-grandfather, Captain John Linton, helped build this church. Many of my Linton, Moran and Edwards family members are buried here. Also, many of the early settlers of Washington County were laid to rest here. In a more modern happenstance, my husband’s father was minister of this church in the early 1960’s. Who knew we would share this common piece of history? 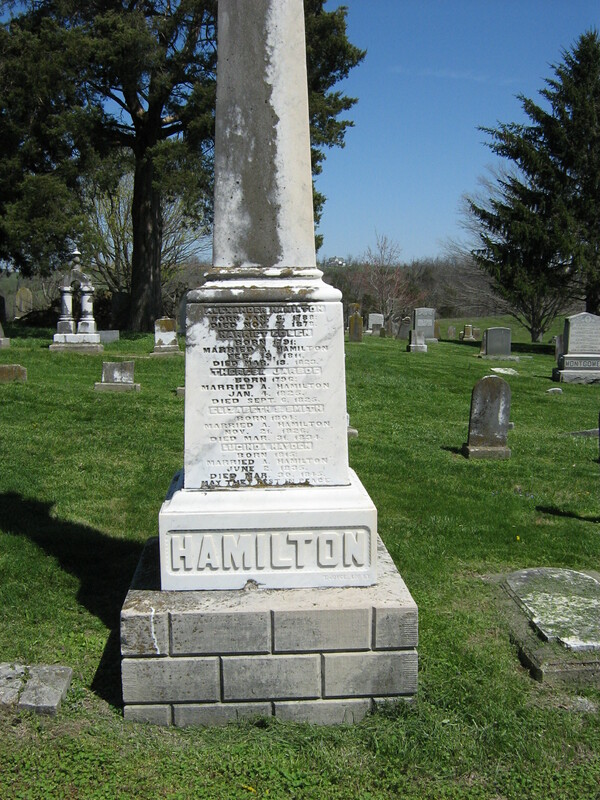 Included is an alphabetical listing of those buried at Pleasant Grove, including birth and death dates, and sometimes additional information. Just click on the number in the photo column and the photo will pop up. Thank you for purchasing this Kindle book. Included are 856 names on the list. This has been a five year project, taking photos beginning in the fall of 2008 and through 2012. I’ve just recently put the list together. This project is dear to me because my fifth great-grandfather, Captain John Linton, helped build this church. 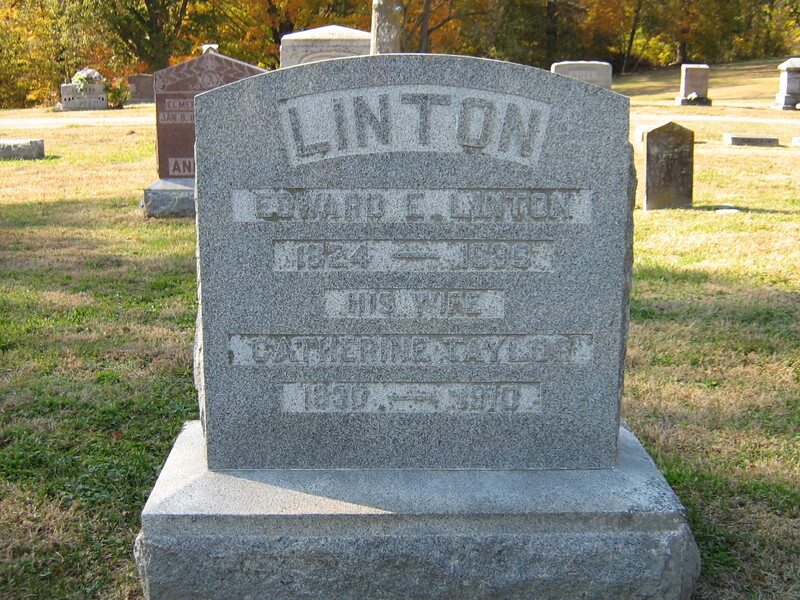 Many of my Linton, Moran and Edwards family members are buried here. 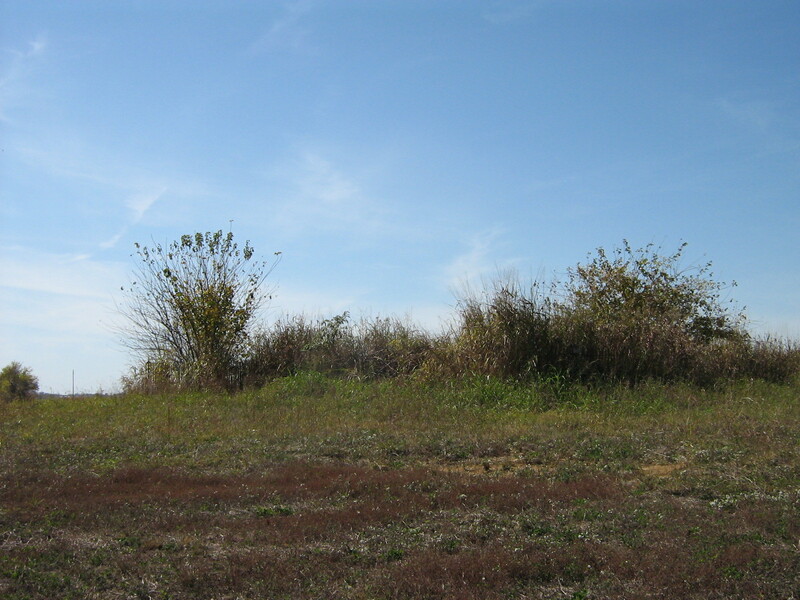 Also, many of the early settlers of Washington County were laid to rest here. In a more modern happenstance, my husband’s father was minister of this church in the early 1960’s. Who knew we would share this common piece of history? 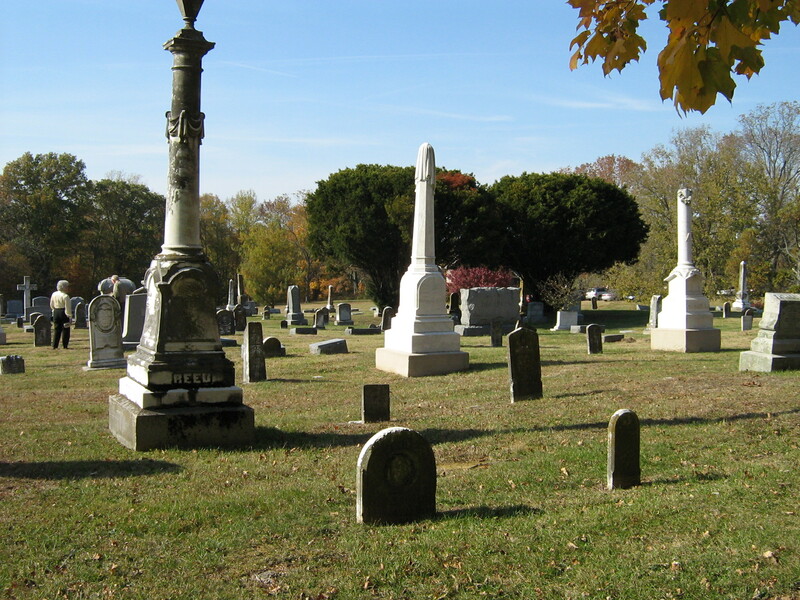 Included is an alphabetical listing of those buried at Pleasant Grove, including birth and death dates, and sometimes additional information. Within a few weeks I will make this into a CD that includes photos of most of the gravestones. Thank you for purchasing my book! There are 9,474 names listed. This is an all-inclusive, alphabetical listing of those listed in the Washington County Will Book Index, Books A-W for the years 1792-1902. Included is the description of the entry (Will, Inventory, List of Sales, Administrative Settlement, Allot Dower, Executors Settlement, Division of Estate, Guardian Settlement, Appraisement, List of Slaves, Agreement, etc. ), the will book and the page number. Last names beginning with A through Y are included – there were no last names beginning with Q, X or Z. Individual volumes are for those who have only one or two families in Washington County, Kentucky. 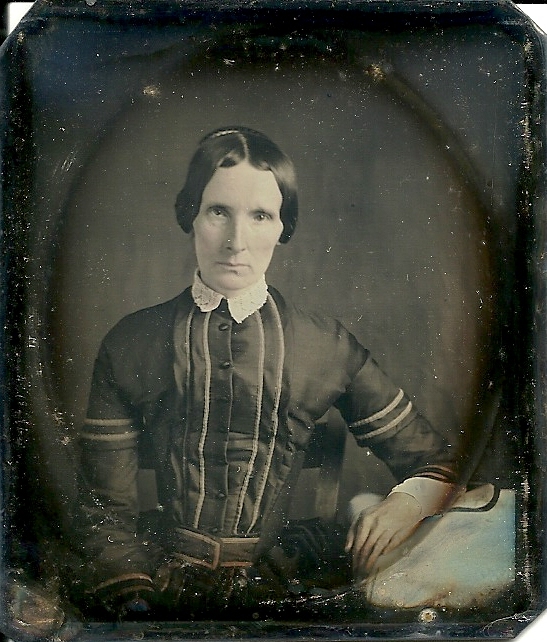 This work, containing all names, is for those with many family members in the county – like myself who had all my families come through Washington County at one time. You can use the search feature on your Kindle to find a particular name. This my second set of will book indexes, this time for Clark County, Kentucky. Most of my research, for my family, has been in Washington, Marion, Garrard and Nelson counties. It is always interesting to research in a new county, since there are always new names to discover. There are 3,832 names listed. This is an all-inclusive, alphabetical listing of those listed in the Clark County Will Books Index, Books 1-13 for the years 1793-1853. Included is the description of the entry (Will, Inventory, List of Sales, Administrative Settlement, Allot Dower, Executors Settlement, Division of Estate, Guardian Settlement, Appraisement, List of Slaves, Agreement, etc. ), the will book and the page number. Last names beginning with A-Y are included – there were no last names beginning with U, X and Z. You can use the search feature on your Kindle to find a particular name. St. Charles Catholic Church is located in rural Marion County, Kentucky. Included are 1,262 names on the list. Not everyone buried in the cemetery is on the list - many of those buried after 1950 have not been included, although many are. I have taken 788 photos of gravestones. The amount of photos became overwhelming! They could not be included in this book since it would never load to a Kindle! If you would like a particular photo, or photos, email me at phyrit@roadrunner.com and I will email the photo(s). If you need a huge amount you may wish to purchase the CD that is available through my website www.kentuckykindredgenealogy.com This has been a five year project, beginning in the fall of 2009 and ending May 31, 2014. 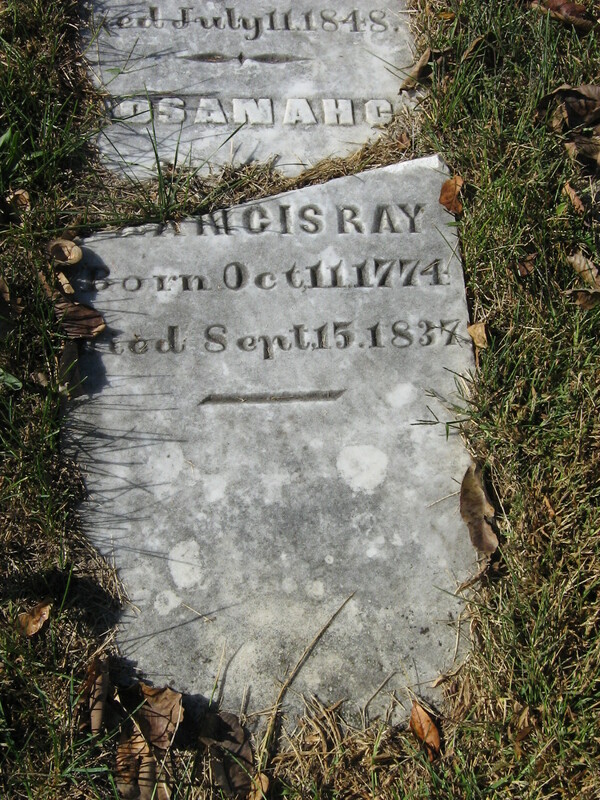 This is an alphabetical listing of those buried at St. Charles, including birth and death dates, and other information. 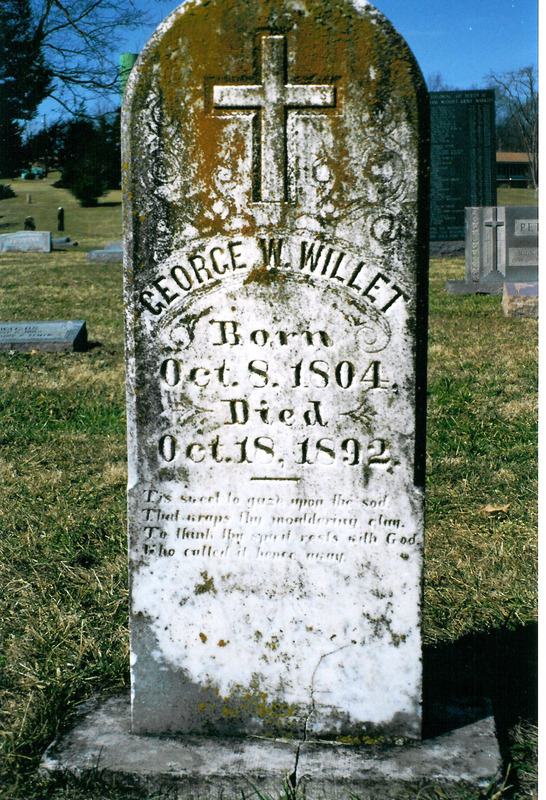 Not all gravestones have photos since some can no longer be found. 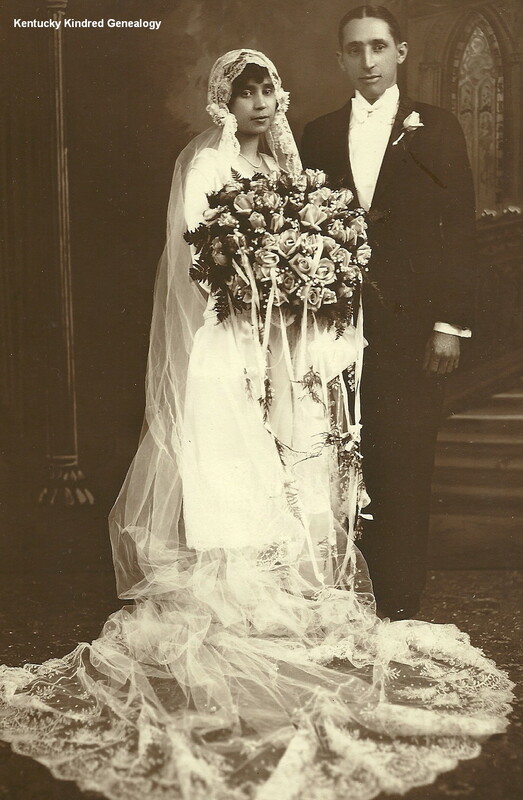 A list of 9,533 Washington County marriages from the year of the county inception in 1792 to 1892, sorted by the grooms' last names. Includes name of groom, name of bride and date. This my second set of will book indexes, this time for Clark County, Kentucky. Most of my research, for my family, has been in Washington, Marion, Garrard and Nelson counties. It is always interesting to research in a new county, since there are always new names to discover. There are 1,226 names listed. This is an all-inclusive, alphabetical listing of those listed in the Clark County Will Books Index, Books 1-13 for the years 1793-1853. Included is the description of the entry (Will, Inventory, List of Sales, Administrative Settlement, Allot Dower, Executors Settlement, Division of Estate, Guardian Settlement, Appraisement, List of Slaves, Agreement, etc. ), the will book and the page number. Last names beginning with P-Y are included – there were no last names beginning with U, X and Z. There will be a volume that includes A–Z. You can use the search feature on your Kindle to find a particular name. This my second set of will book indexes, this time for Clark County, Kentucky. Most of my research, for my family, has been in Washington, Marion, Garrard and Nelson counties. It is always interesting to research in a new county, since there are always new names to discover. There are 1,007 names listed. This is an all-inclusive, alphabetical listing of those listed in the Clark County Will Books Index, Books 1-13 for the years 1793-1853. Included is the description of the entry (Will, Inventory, List of Sales, Administrative Settlement, Allot Dower, Executors Settlement, Division of Estate, Guardian Settlement, Appraisement, List of Slaves, Agreement, etc. ), the will book and the page number. Last names beginning with H - O are included. One other volume will follow, P–Z. There will also be a volume that includes A–Z. Thank you for purchasing my book! This my second set of will book indexes, this time for Clark County, Kentucky. Most of my research, for my family, has been in Washington, Marion, Garrard and Nelson counties. It is always interesting to research in a new county, since there are always new names to discover. Not found in my usual counties were the surnames Bledsoe, Brinegar, Chorn, Clinkenbeard, Conkwright, Crosthwait, Fishback and Gaitskill. There are 1,599 names listed. This is an all-inclusive, alphabetical listing of those listed in the Clark County Will Books Index, Books 1-13 for the years 1793-1853. Included is the description of the entry (Will, Inventory, List of Sales, Administrative Settlement, Allot Dower, Executors Settlement, Division of Estate, Guardian Settlement, Appraisement, List of Slaves, Agreement, etc. ), the will book and the page number. Last names beginning with A - G are included. Two other volumes will follow, H–O and P–Z. There will also be a volume that includes A–Z. You can use the search feature on your Kindle to find a particular name. Thank you for purchasing my book! There are 670 names listed. This is an all-inclusive, alphabetical listing of those listed in the Washington County Will Book Index, Books A-W for the years 1792-1902. Included is the description of the entry (Will, Inventory, List of Sales, Administrative Settlement, Allot Dower, Executors Settlement, Division of Estate, Guardian Settlement, Appraisement, List of Slaves, Agreement, etc. ), the will book and the page number. Last names beginning with U, V, W and Y are included – there were no last names beginning with X or Z. One large book containing all volumes will follow shortly. You can use the search feature on your Kindle to find a particular name. Thank you for purchasing my book! There are 1,286 names listed. This is an all-inclusive, alphabetical listing of those listed in the Washington County Will Book Index, Books A-W for the years 1792-1902. Included is the description of the entry (Will, Inventory, List of Sales, Administrative Settlement, Allot Dower, Executors Settlement, Division of Estate, Guardian Settlement, Appraisement, List of Slaves, Agreement, etc. ), the will book and the page number. Last names beginning with S and T are included. One final volume will follow shortly. You can use the search feature on your Kindle to find a particular name. Thank you for purchasing my book! There are 1,273 names listed. This is an all-inclusive, alphabetical listing of those listed in the Washington County Will Book Index, Books A-W for the years 1792-1902. Included is the description of the entry (Will, Inventory, List of Sales, Administrative Settlement, Allot Dower, Executors Settlement, Division of Estate, Guardian Settlement, Appraisement, List of Slaves, Agreement, etc. ), the will book and the page number. Last names beginning with O, P and R are included – there were no last names that began with Q. Two other volumes will follow shortly. You can use the search feature on your Kindle to find a particular name. Thank you for purchasing my book! There are 513 names listed. This is an all-inclusive, alphabetical listing of those listed in the Washington County Will Book Index, Books A-W for the years 1792-1902. Included is the description of the entry (Will, Inventory, List of Sales, Administrative Settlement, Allot Dower, Executors Settlement, Division of Estate, Guardian Settlement, Appraisement, List of Slaves, Agreement, etc. ), the will book and the page number. Last names beginning with E and F are included. Other volumes will follow shortly. You can use the search feature on your Kindle to find a particular name. Thank you for purchasing my book! There are 762 names listed. This is an all-inclusive, alphabetical listing of those listed in the Washington County Will Book Index, Books A-W for the years 1792-1902. Included is the description of the entry (Will, Inventory, List of Sales, Administrative Settlement, Allot Dower, Executors Settlement, Division of Estate, Guardian Settlement, Appraisement, List of Slaves, Agreement, etc. ), the will book and the page number. Last names beginning with I, J, K and L are included. Other volumes will follow shortly. You can use the search feature on your Kindle to find a particular name. Thank you for purchasing my book! There are 1,332 names listed. This is an all-inclusive, alphabetical listing of those listed in the Washington County Will Book Index, Books A-W for the years 1792-1902. Included is the description of the entry (Will, Inventory, List of Sales, Administrative Settlement, Allot Dower, Executors Settlement, Division of Estate, Guardian Settlement, Appraisement, List of Slaves, Agreement, etc. ), the will book and the page number. Last names beginning with G and H are included. Other volumes will follow shortly. You can use the search feature on your Kindle to find a particular name. There are 1,219 names listed. This is an all-inclusive, alphabetical listing of those listed in the Washington County Will Book Index, Books A-W for the years 1792-1902. Included is the description of the entry (Will, Inventory, List of Sales, Administrative Settlement, Allot Dower, Executors Settlement, Division of Estate, Guardian Settlement, Appraisement, List of Slaves, Agreement, etc. ), the will book and the page number. Last names beginning with A and B are included. Other volumes will follow shortly. You can use the search feature on your Kindle to find a particular name. There are 1,179 names listed. This is an all-inclusive, alphabetical listing of those listed in the Washington County Will Book Index, Books A-W for the years 1792-1902. Included is the description of the entry (Will, Inventory, List of Sales, Administrative Settlement, Allot Dower, Executors Settlement, Division of Estate, Guardian Settlement, Appraisement, List of Slaves, Agreement, etc. ), the will book and the page number. Last names beginning with C and D are included. Other volumes will follow shortly. You can use the search feature on your Kindle to find a particular name. There are 1,241names listed. This is an all-inclusive, alphabetical listing of those listed in the Washington County Will Book Index, Books A-W for the years 1792-1902. Included is the description of the entry (Will, Inventory, List of Sales, Administrative Settlement, Allot Dower, Executors Settlement, Division of Estate, Guardian Settlement, Appraisement, List of Slaves, Agreement, etc. ), the will book and the page number. Last names beginning with M, Mc and N are included. Thank you for purchasing this book. 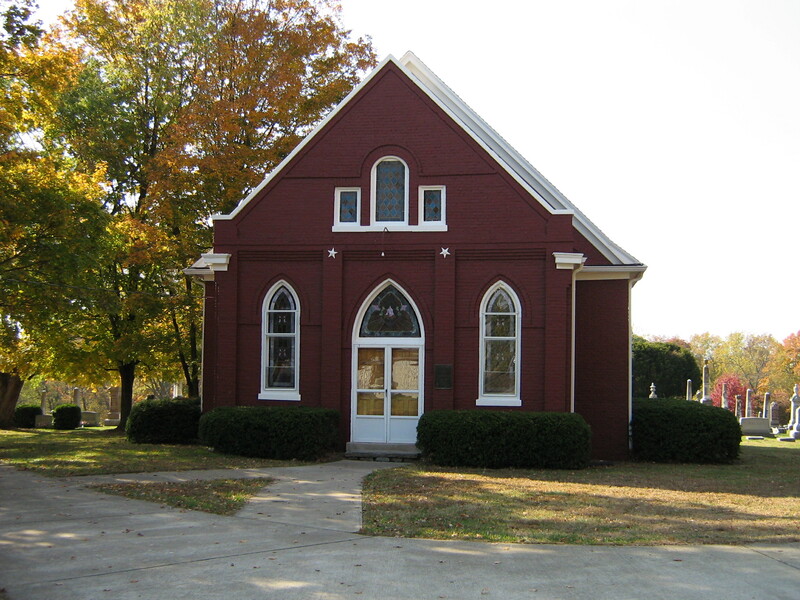 Built in 1792 Holy Cross was the first Catholic Church built in the state of Kentucky. There are 1,098 names on the list. Everyone in the cemetery is included except those buried in the last couple of years. If you would like a photo of a gravestone, or several, email me at phyrit@roadrunner.com. If you have many family members buried at this cemetery you may wish to purchase a CD of this cemetery that includes all photos. 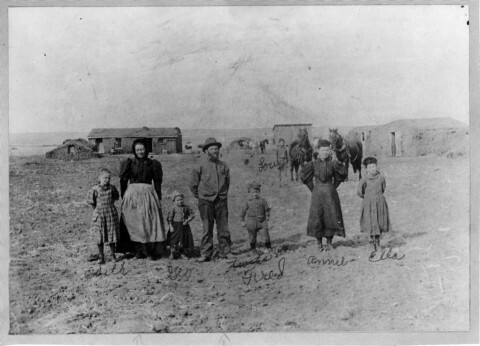 If you visit my website www.kentuckykindredgenealogy.com you will find a link to purchase. This has been a three year project, beginning in the fall of 2012 and ending June 14, 2014. Good luck with your research! Thank you for purchasing this book. 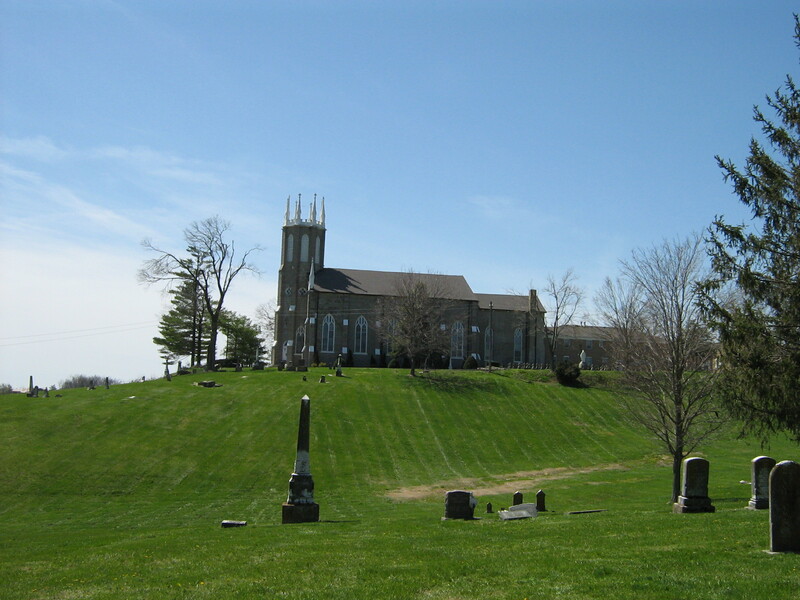 There are two parts to the cemetery of Holy Name of Mary Catholic Church – the old part is where the original settlers, the older people, were buried. This part is rather small. The newer part is much larger. Only the older cemetery is included in this book. 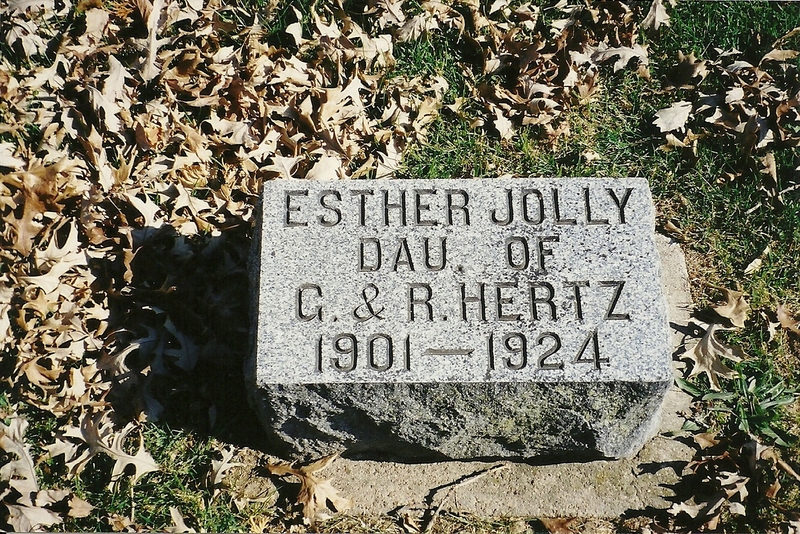 There is a path up the hill from the new cemetery to the old cemetery, at the top of which is a monument in concrete which includes pieces of broken stones. What a wonderful way to display them – and so much better than throwing them away! This book includes photos of all the stones in the older part of the cemetery, and some from the new, a total of 70 names. Included are photos of the pathway, monument stones, church and historical marker. Thank you for purchasing this book. 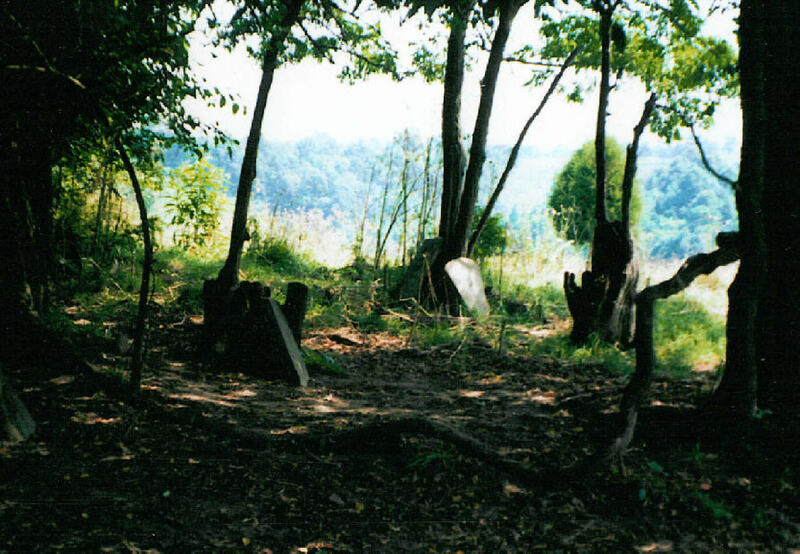 Rockbridge Baptist Church Cemetery is located in rural Washington County, Kentucky. There are 535 people buried in this cemetery. 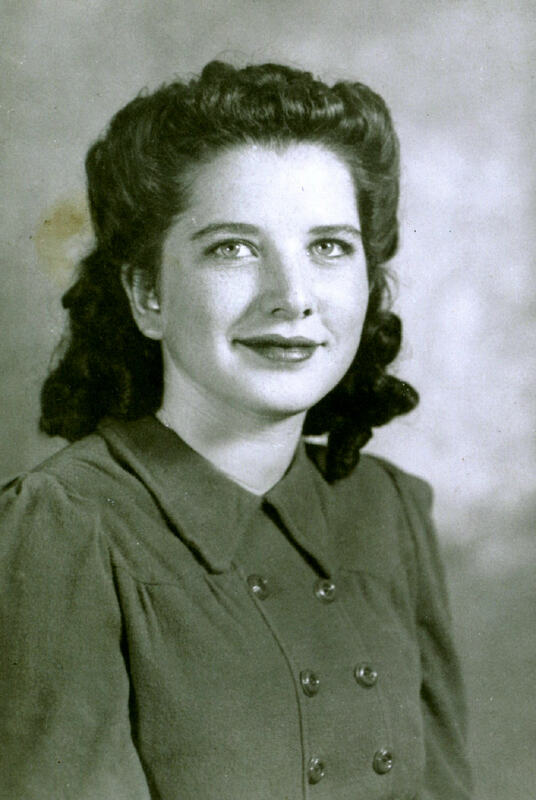 The list includes name, birth and death dates, and sometimes additional information. If you have someone buried in this cemetery, or several, send me an email at phyrit@roadrunner.com and I will send you the photo(s) of the gravestones. If you have quite a few ancestors buried here you may wish to purchase the CD of this cemetery that includes photos of all the stones. 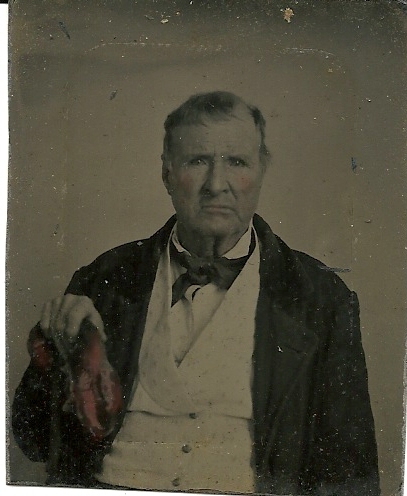 You may visit my website at www.kentuckykindredgenealogy.com to purchase. 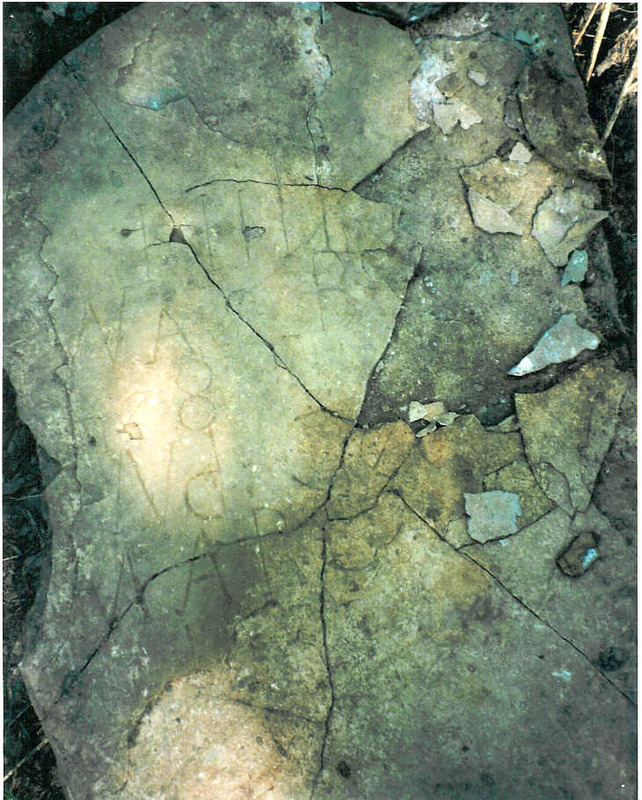 Rockbridge Cemetery is not in good shape – many stones are overturned. I feel fortunate to have photographed the cemetery while most were still readable – some were not. 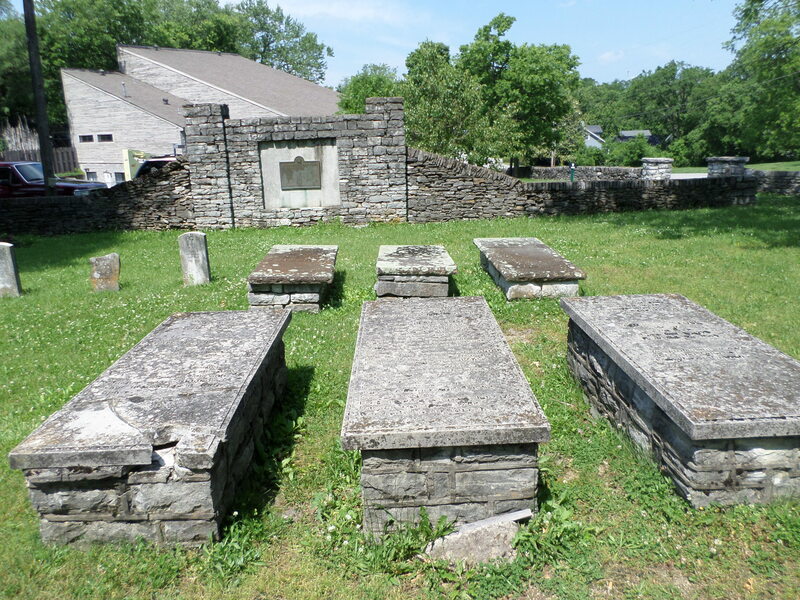 A list of 287 people buried in the public cemetery at Gethsemani Abbey in rural Nelson County, Kentucky, giving birth and death dates and other information. This book is a list of 4,840 baptisms from St. Rose Catholic Church in Washington County, Kentucky, from the years 1830-1886. Most records list the parents of the child and the date of birth. A Kentucky Feud That Doesn't Involve The Hatfield's and the McCoy's!